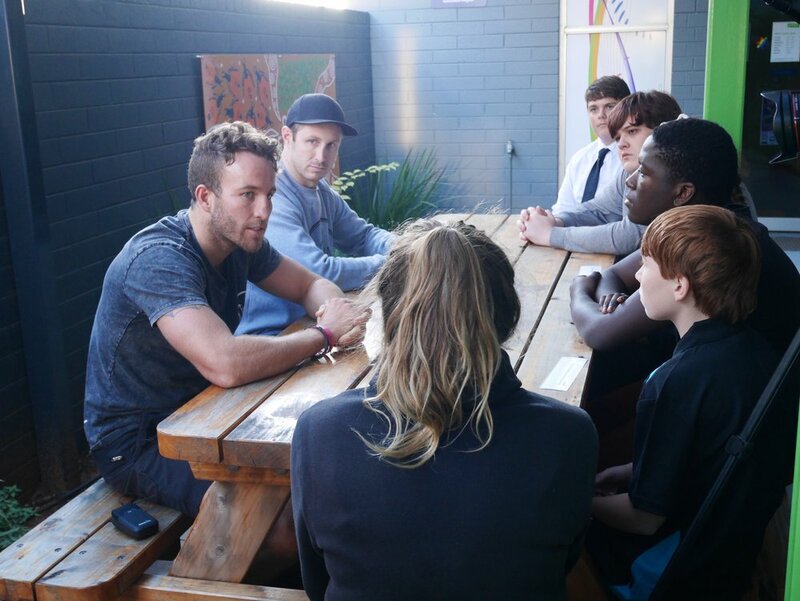 In June, the Gold Industry Group held workshops in Perth and the Goldfields with new community partner LIVIN, to demystify the stigma attached to mental illness and give people the basic tools to seek help and help others. 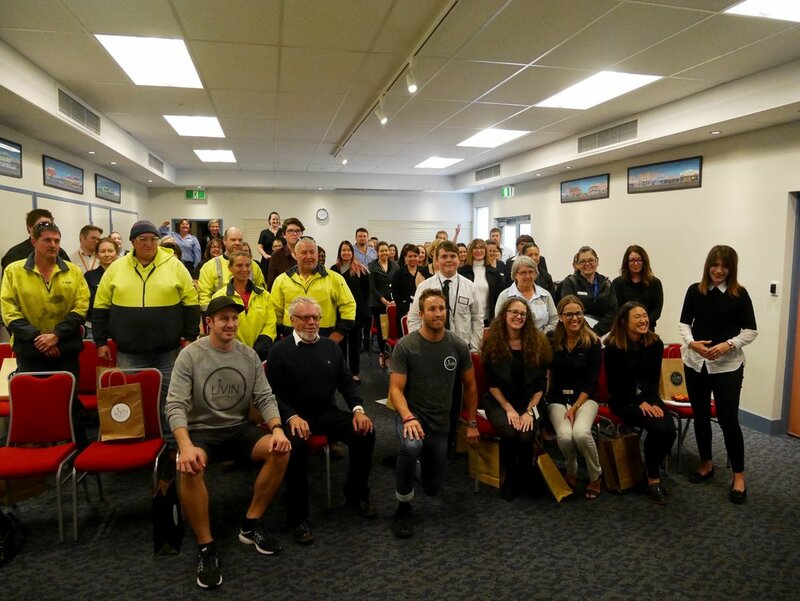 LIVIN founders Sam Webb and Casey Lyons delivered six educational workshops with members The Perth Mint, City of Kalgoorlie-Boulder, Gold Road Resources, Ramelius Resources and Cannings Purple. A community event was held at the Kalgoorlie Golf Course with the support of Norton Gold Fields and local businesses Excelsior Gold, Inspired Life, Bunnings, Daphne Florist, Plant Pet and Aquarium and local prospectors Brad and Jude. 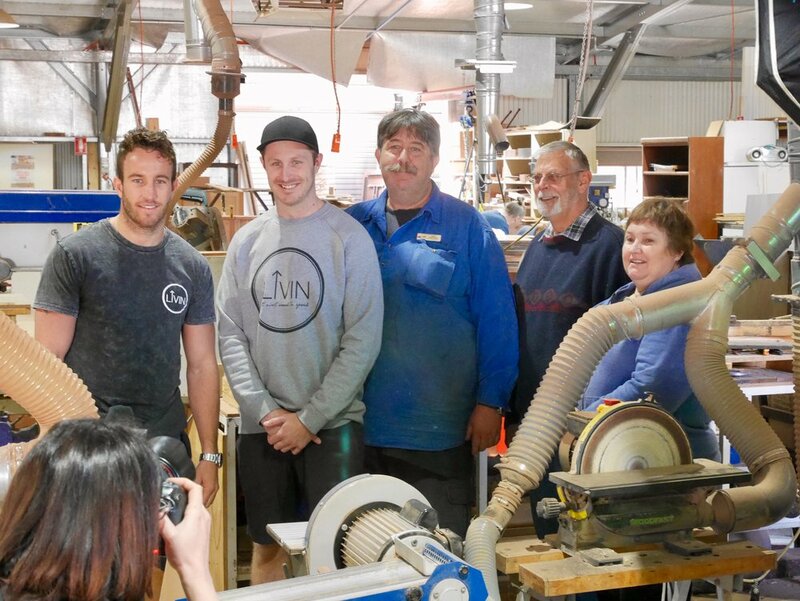 While in Kalgoorlie, Sam and Casey also visited the Men's Shed for a chat and had the pleasure of being interviewed by the Kalgoorlie Youth Council for a video to be released in Mental Health Week and used to educate students in local schools. A recent audit conducted by the Department of Mines and Petroleum into the psychosocial harms in the mining and resources industry found the most significant area identified for improvement was the level of consultation with the workforce on mental health and wellbeing strategies. With one in four people suffering from some form of mental illness and suicide the biggest killer of Australians aged 15-44, this issue requires the community to work together to support each other and change perceptions. The false perception that mental health issues are a form of personal weakness has meant sufferers are often silent about their challenges — both to avoid the stigma of having a personal or mental weakness, and for fear of being seen as a problem employee that needs to go. The consequences surrounding this false perception have been devastating and many people continue to suffer, with an increasing number being lost through suicide. 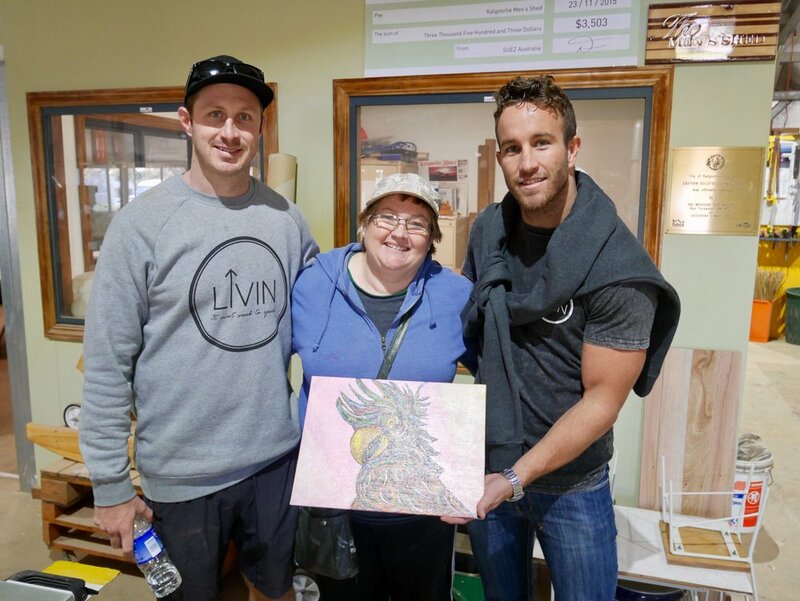 LIVIN was co-founded by Sam Webb and Casey Lyons in September 2013, in honour of close friend Dwayne Lally and other close friends and family who took their own lives after suffering from a mental illness. “For too long mental illness and suicide has been perceived as a weakness, but mental illness is no different to other illnesses such as cancer, heart disease and diabetes. We will change this,” said Casey Lyons. The core of LIVIN’s mission is the mantra 'It Ain’t Weak to Speak,' encouraging and inspiring people to speak up and seek help. Through education and the use of fashion, social media and well known personalities, LIVIN influences generational change with a fresh new approach to mental health. “It’s about LIVIN your life at the top and destroying the stigma attached to mental illness," said Sam Webb. "We want men and women to know that they are not alone and ‘It Ain’t Weak to Speak’." The Gold Industry Group will continue to work with LIVIN and its members to raise awareness of mental health and change the way the mining industry and society understands, perceives and interprets mental illness. If you are suffering from a mental illness or know someone who is contact your local GP or one of the many services listed on the LIVIN website or in the flyer below. Help us to break the stigma attached to mental illness by following the GIG and LIVIN on social media and sharing the LIVIN message #itaintweaktospeak.